We’ve got some bad news and some good news so like the cliche goes, the bad news first. If you’re near Southampton UK then an arcade has closed its doors there as of yesterday. The Sega Park was a part of the Bargate Shopping Centre, where they were not the only ones forced to close their doors. According to RJAY who sent in the tip : “The big factor in this closure was the ongoing situation surrounding the mall/shopping centre the arcade was in (Bargate Shopping Centre). The owners of the mall went bust and were liquidated in late 2011 so in order to try and make a sale of the complex, all the tenants of the mall have been ordered out. 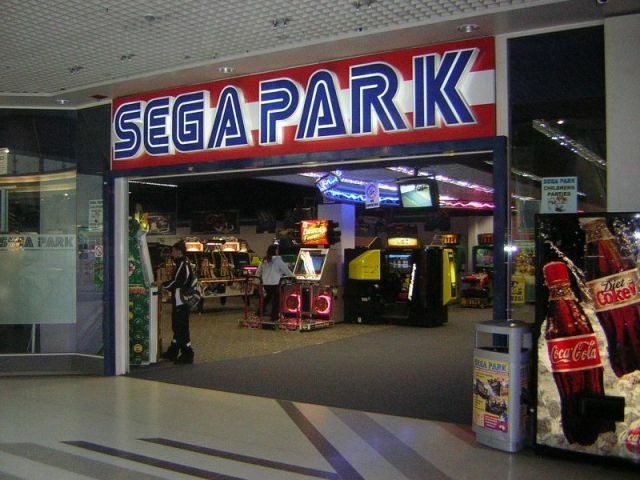 This was also the last arcade named “Sega Park” in the UK; Sega themselves stopped running UK arcades in 2000 and sold them to another company who were given rights to the Sega name for a few years. However it seems a ‘blind eye’ was turned and the Sega Park name stuck.” Here is a link to the story about the closure of the centre. Here is a picture of Sega Park circa 2005, and hopefully a way will be found for some arcade goodness to return to the area in the near future. I hate to leave it on a sour note like that so here’s some more positive news that happened to come along today and be Sega/arcade related. First off, Sega has announced that the 42″ version of their GRID arcade racing title is now available. We saw this at IAAPA 2012 and EAG 2013;the 42″ monitor certainly made the game seem more “in your face” than the 32″ version. Here’s a picture of the cabinet provided with the press release you can find below. Before that press release though, Sega UK also released a video of their EAG 2013 booth from last week showing what it might have been like to wander around it, checking out the games they had there. what a driving game is. London, United Kingdom 31 January 2013 – SEGA, announces the addition of GRID 42” Dlx to the GRID family of driving games. 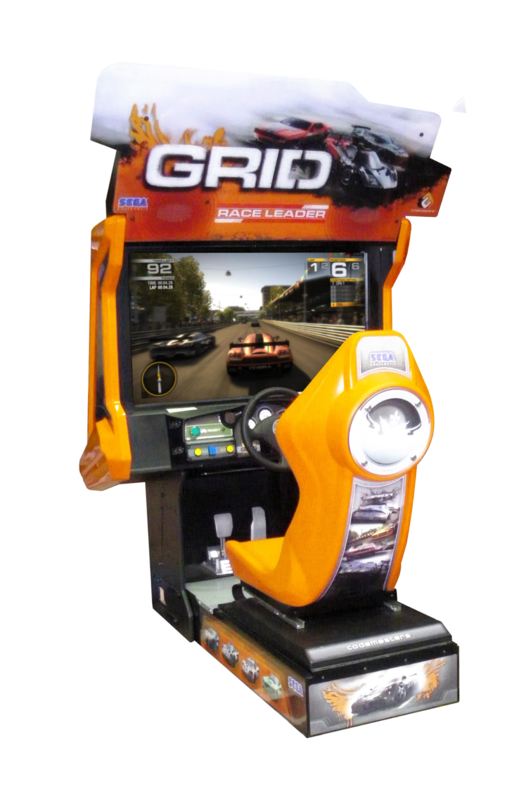 GRID 42” Dlx is the latest addition to SEGA’s family of GRID Driving Games which includes GRID 32” Std and GRID 55” Dlx. Tri-color LED lighting throughout. LED’s changes color to match the action. True Damage Modeling – if you hit the wall, you see the results including broken glass, flapping hoods, swinging doors, and dragging bumpers. o Game Difficulty Settings – easy, medium, or hard. Click here to see exciting video of GRID. Serving markets across the globe, SEGA Amusements is a wholly owned subsidiary of SEGA Corporation, Japan. SEGA Amusements is an industry leader in creating state-of-the-art interactive video, photo-tainment, self-contained merchandisers, kiddie rides and redemption games. Products range from single-player upright video games, to self-contained merchandising games, to multiplayer attendant operated simulators. Thanks for posting Arcadehero! Here’s a link to a newspaper report backing up my story if required. Sadly money was a factor; they were just breaking even in their final years and that was down to the very low rent inside the complex. Relocating anywhere else in the city would not have been viable so I guess they took the chance to call it a day. Shame as a few good ideas could have made a difference giving them a reason to open elsewhere.